As in, "we have lots of wishes, huh mom", while playing in the backyard. And I think that is worth remembering. I don't watch Lost, though I should. I think Charlie is lucky to have so many wishes. What a sweet childhood he has. Charlie sure has some good thinking... Doesn't it melt your heart when you hear this cute comment? 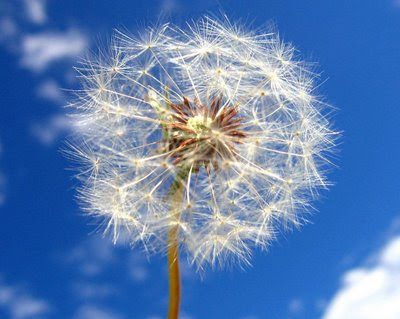 Sometimes wishes are all we have. Amazing that a "weed" such as the dandelion (which really isn't a weed at all, it's one of the best tonic herbs known to man) can offer so much more hope. Far more so than say a rose or an orchid. God bless the little ones of this earth. May all their wishes come true!